Dogs are a man’s best friend. Well actually, dogs are everyone’s best friend. In this specially beautiful case, Bella, the yellow lab, is Valerie Parrott’s best friend. 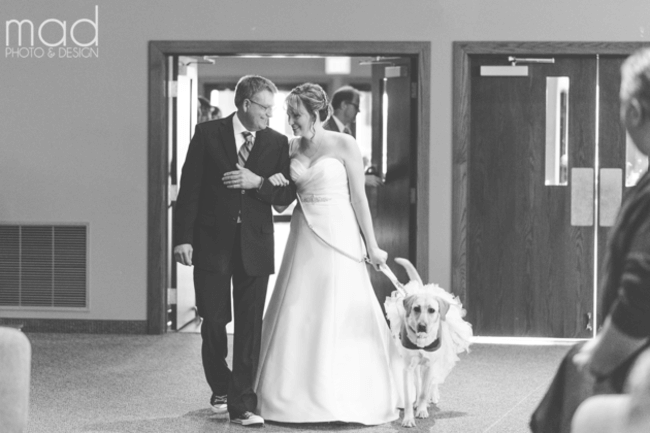 Valerie’s wedding was on January 9th, in Sioux Falls, South Dakota. 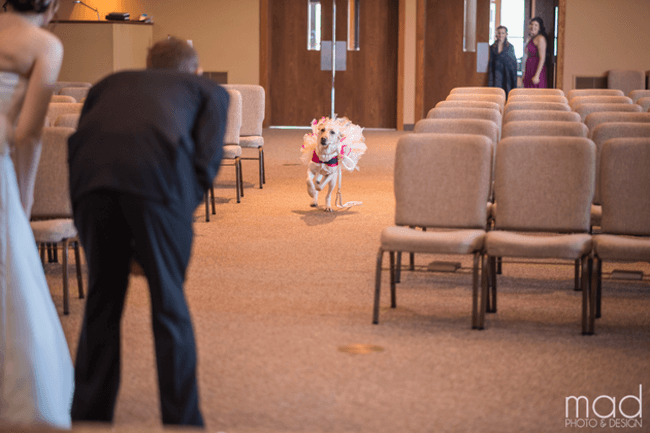 Her service dog, Bella, was apart of her special day. After all, Bella has been with her for the past two years. After the posting of these photos on Reddit, her story went viral. 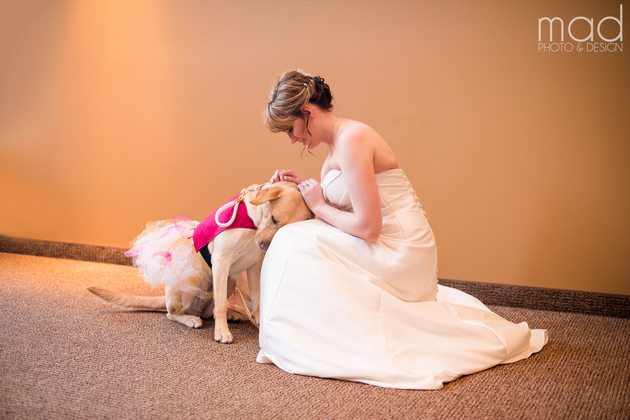 The bride says that Bella helps her become aware of oncoming panic attacks, anxiety, and migraines. On the – stressful- big day, Bella helped calm her nerves. This bond is truly special, and quite beautiful.